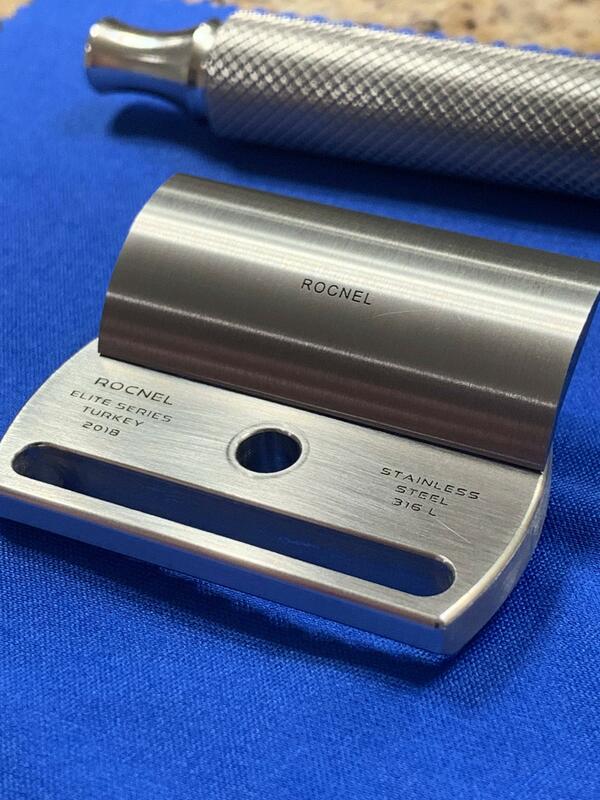 I am looking to sell an excellent condition Rocnel Elite 2018 razor with 1.95 blade gap. These were available only from Bullgoose and they are now sold out. 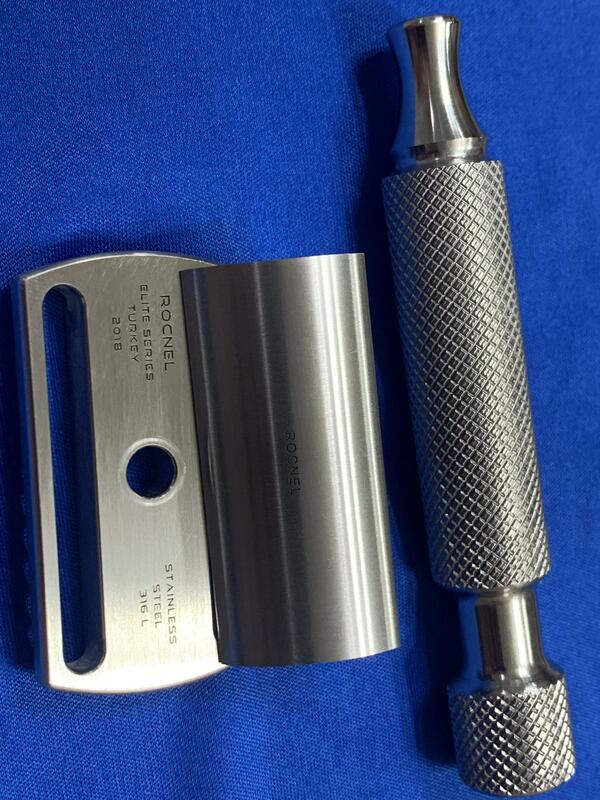 This is a very smooth and very efficient razor but I have not reached for it since obtaining my 2.1 Elite. Pictures to be posted this afternoon. 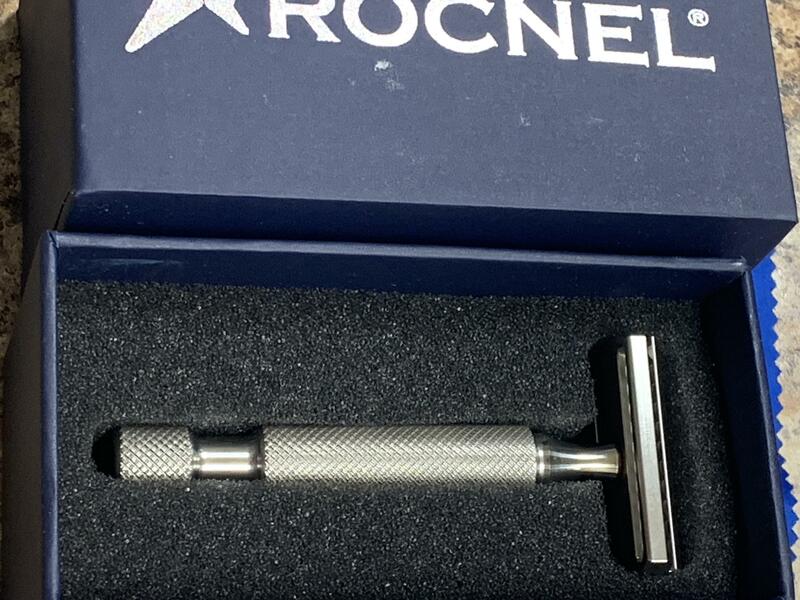 The razor and box are included in this sale and I would prefer to ship to the US only at this time. No trades on this one unless you have a brand new ATT copper Windsor H1. I am asking $170 shipped to the US. Is this the one that only fits feather blades? No, all DE blades should fit this one. Would you consider posting to England? To me, this razor provides a shave similar to the ones I received from the 17-4.